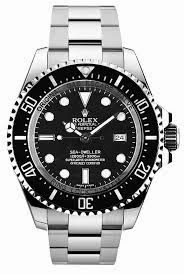 Rolex Deepsea 116660 (more info): probably one of the toughest watches available today (5mm thick sapphire glass, grade 5 titanium back). 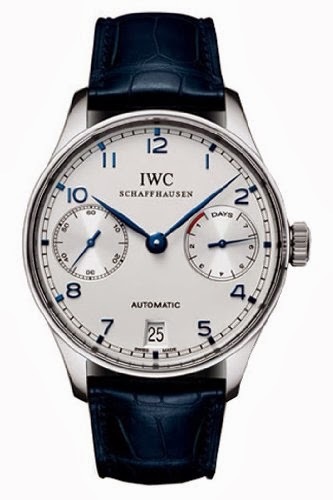 IWC Portuguese automatic 8 days IW500107 (more info): classic automatic watch with 7 days power reserve and indicator. 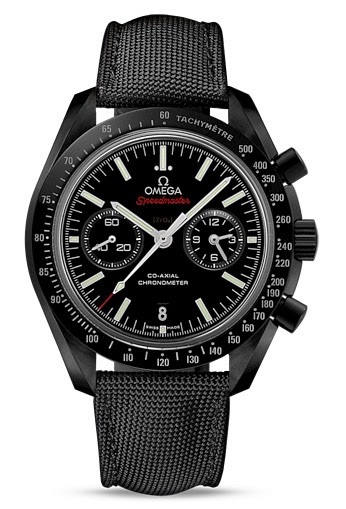 Omega Dark Side Of The Moon 311.92.44.51.01.003 (more info): this is the moon watch, need I say more? Oh, it's also made out of polished ceramic. 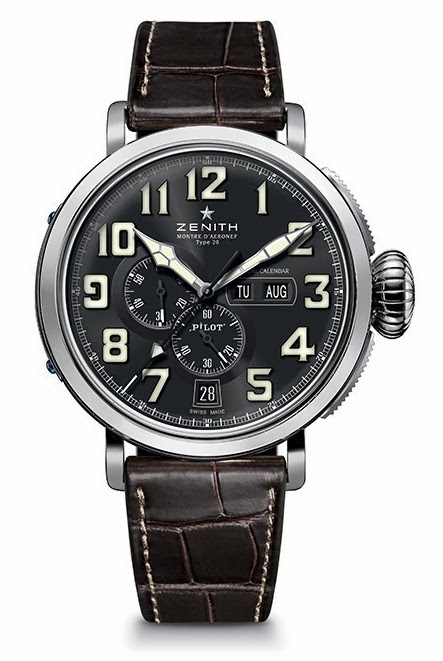 Zenith Pilot Montre D'Aeronef type 20 annual calendar 48mm 03.2430.4054/21.C721 (more info): this is one of the cheapest annual calendar watches available today. If you have to pick one watch, which one would you choose?